Statewide variation in the total length and number of sets on traplines. 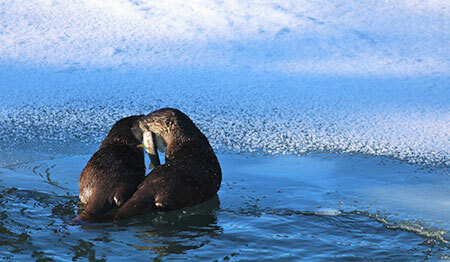 Statewide sealing data for seven of the most sought after furbearer species in Alaska. Wildly fluctuating fur prices - A river otter pelt was valued (average) at $100 in 2012, and $20 in 2015. 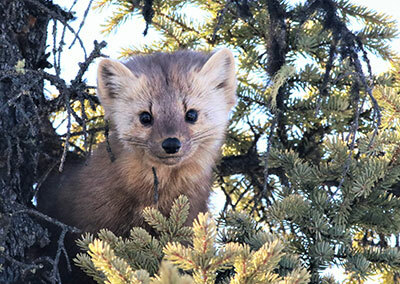 Marten, one of the most important furbearer species in Alaska, varied from $144 in 2012 to $46 in 2015. The report provides average fur prices over time for all 14 of the Alaska furbearers bought by fur buyers. Alaska trappers report their concerns about sharing the trails with each other, and with other trail users, particularly Alaskans with dogs. They are conscientious of how they are perceived and of the importance of ethical practices. Every year Fish and Game distributes a questionnaire to trappers from Ketchikan to Utqiagvik (formerly known as Barrow), asking about their trapping practices, effort and success, their target species, and the abundance of furbearers along their trap lines. The questionnaire solicits comments about trapping conditions and furbearer management, and the information helps Fish and Game gain a better understanding of statewide trapping practices. The information is shared in the Alaska Trapper Report, but names of individuals and references to specific trap lines are confidential and are not included in the report. All trappers who return their questionnaires to ADF&G, indicating that they trapped receive a complimentary copy of the report. About a quarter of the 70-page book is dedicated to the trapper’s comments, a forum for suggestions, complaints and observations from across the state. Comments are categorized by region and in the past have provided some preliminary findings, such as some of the early reports of fishers moving into Southeast Alaska. These large weasels are showing up more frequently on the mainland in Southeast Alaska and a few are legally trapped every winter. The reports are available on the ADF&G website going back to 1989, and it’s interesting to look at how trapping techniques and harvest have changed over time. 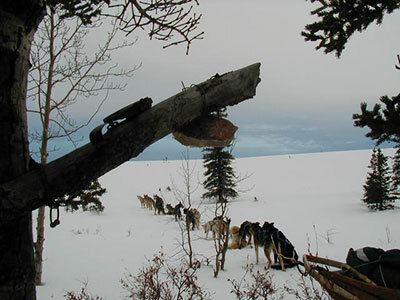 A marten set in a tree, with the trapper's sled dog team waiting patiently. Stan Zuray photo. Fish and Game biologist Tim Spivey serves as the state’s permit biologist and oversees the report, among his many other duties. In Southeast Alaska (Region 1) about half the trappers run their trapline on foot, either walking or on skis or snowshoes, compared to just six percent of trappers in northern Alaska (Region 5), who largely rely on snowmachines. Last year about 9,200 questionnaires were sent out to the list of trapping license-holders, although not everyone who has a trapping license actually traps during a given season. “Some of the people on the list bought combo licenses and may not have trapped, others might have a low income license, which is also inclusive, and they may not have trapped,” Spivey said. Despite so many questionnaires being sent out, only 766 responses came back. Of those responding to the questionnaire, only 311 people indicated that they trapped. However, “the 455 people who responded that they did not trap, are important.” “If you think about it in the context of the harvest reports required for big game hunting, knowing that someone did not harvest or if they weren’t able to get out and trap, is very useful information,” he said. Trappers are one of our primary sources of information for learning about local furbearer populations, and the more trappers who fill out the questionnaire in entirety, the better biologists can use these data to manage furbearer populations across the state. An otter pair plays and shares a grayling by the Tok River. Photo by Sara Germain. “There is a table on the presence of ectoparasites that is interesting,” Spivey said. “While we don’t require trappers to collect ectoparasites found on pelts, presence/absence data can provide our veterinarian staff, and furbearer researchers with knowledge of what may be taking place in certain areas or specific populations of furbearers. State Wildlife Veterinarian Dr. Kimberlee Beckmen is particularly interested in the presence of ticks on Alaskan wildlife species. “Consequently, if trappers are pulling off fleas or ticks that don’t look like anything they’ve seen in the past, that would be important to know,” Spivey said. Perhaps most importantly, the report can help provide new trappers with knowledge of trapping practices and historical information on the relative abundance of furbearer species in their region. For many people in Alaska trapping has always been a way of life, and it’s rewarding to know these traditions continue to be passed along to the next generation of trappers. The trapping reports are available online going back to the 1989-1990 regulatory year.